(Natural News) More signs of an impending mass retail collapse are emerging, this time in Canada. According to new reports, struggling department store giant Sears is planning to close 60 stores throughout Canada, eliminating nearly 3,000 jobs in the process and setting the company on a track towards bankruptcy. Sears Canada announced in a press release that it recently filed for creditor protection under Canadian law. While the company plans to massively downsize and restructure itself, with hopes to eventually reemerge under a new corporate model, it has a lot of debt to deal with first. Part of the company’s restructuring plan involves seeking $340.1 million ($450 million in Canadian dollars) from its term loan and asset-backed loan lenders for debtor-in-possession financing. Wells Fargo Capital Finance Corporation and GACP Finance Co., LLC will together act as administrative agents in helping Sears to reach this goal. In the meantime, 20 full-line Sears stores, 15 Sears Home stores, 10 Sears Outlet stores, and 14 Sears Hometown stores will all be closing their doors. Thousands of employees at these stores will obviously lose their jobs, as will many employees who work at the company’s Canadian headquarters in Toronto. “After five years of operating losses and negative cash flow, the Canadian retailer said in a June 13 release that ‘cash and forecasted cash flows from operations are not expected to be sufficient to meet obligations coming due over the next 12 months,'” writes Ben Unglesbee for RetailDive.com. Despite all this, Sears isn’t going down without a fight – at least not in Canada. After parting with its U.S. parent, Sears Canada has already begun implementing its “reinvention plan” to jumpstart sales and get things back up and running from a profit perspective. The company announced just days ago that virtually every element of its business is being completely revamped. “Sears Canada rebuilt its front and back-end technology platform, redefined its brand positioning, revamped its product assortment, and rebooted its customer experience and service standards,” the announcement reads. “The customer experience was reinvented, both online, with a newly designed site built in-house by a new technology team, and in-store with a new format called Sears 2.0. 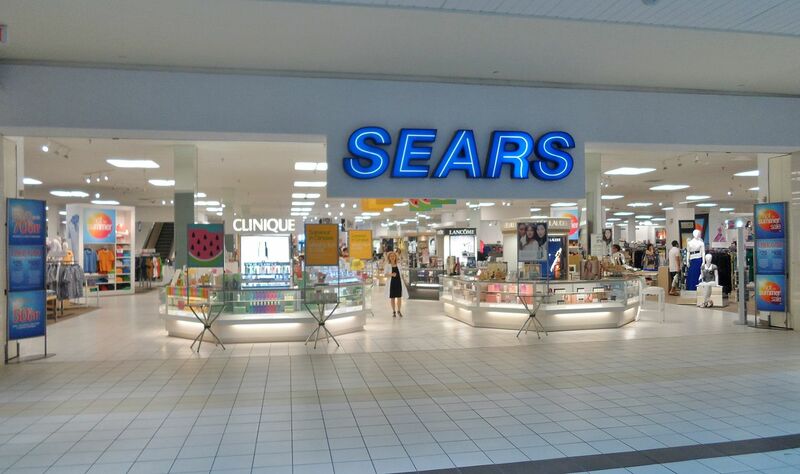 Sears Canada also redefined its customer service standards to be best-in-class, and launched a new store in downtown Toronto to showcase its reinvention to an entirely new audience,” the site continued. These initial changes are already showing success, as the company announced reported growth in these same-store sales during the last two completed quarters. But will it all be enough to keep the company afloat in the longer term? Time will tell, as retail brick and mortar in general is having a tough time these days weathering the storm against not only online retail giants like Amazon, but also aggressive physical store retailers like Walmart. At least in Canada, Walmart’s presence was enough to drive out major competitor Target, which only two years after opening its first Canadian store ended up shutting it down, along with the 132 others it opened in the years following. Target no longer does business in Canada, and reports indicate that it’s now having financial troubles in the U.S. as well that are prompting it to sell off its assets left and right.